Child behavior problems can quickly feed into a perception of yourself as having a dysfunctional family. If you see yourself and your family that way—or if you’ve been labeled as one of those dysfunctional families—you’re not alone. Many parents struggle with the idea that their family doesn’t measure up to their own hopes. Or to other people’s expectations. What is a dysfunctional family? 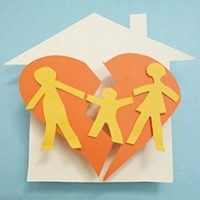 By definition, it is one in which the system of parenting – from house rules, to consequences, to the emotional climate of a home – is considered unhealthy or seriously flawed. Have you felt like your family is seriously flawed? I know I have. I’ve felt that about myself. I’ve felt it about the ways I interact, not just inside my family, but in the world. Feeling self-conscious about your struggles and shortcomings is totally normal. Add child behavior problems into the mix and the feeling of being inadequate grows to epic proportions. The more your child acts out, the more you start to see yourself – and your family – as dysfunctional. You look at other peoples’ families and see how clearly you don’t measure up. Then comes the shame. Your kids’ poor behavior seems to show the whole world that you are dysfunctional as parents and as a family. Furthermore, if your kids are acting badly, you must be a wreck yourself. See how this takes on a life of its own? It can feel like you’re a walking billboard of family problems. Everyone sees just what’s gone wrong with the people you love. Feeling like your family is dysfunctional is normal. Beating yourself up and comparing yourself to other families who seem functional is also normal. But it’s not likely to help you become a more effective parent. Here’s what you can do. Look, we’re all human. Just because someone’s family looks functional from the outside doesn’t necessarily mean it’s working in a healthy way on the inside. As James Lehman explains in The Total Transformation®, when you compare the inside of your family to the outside of someone else’s family, there’s always going to be a disparity. With your inside information, you’re always going to judge your family – and yourself – more harshly than you judge others. That’s part of the tricky territory of being human. Parenting is tough for everyone. Every family is at a different point in their journey to becoming a well-functioning, healthy family system. Some parents have learned more effective skills for managing behavior, and have worked hard to develop what James calls a culture of accountability in their homes. Some parents are just starting out, beginning to learn these new tools. The fact is every single family is a work in progress. Part of creating a healthy, effective family system lies in recognizing your own areas for improvement. While it can be hard to really look at your own habits and patterns, committing to making more effective choices is a real building block to a healthy, functional family. When you take the time to notice where you’re feeling most dysfunctional, you can identify the places where effective change can happen. Use that dysfunctional feeling to help identify the times that you need to make more effective choices. But, don’t label yourself dysfunctional. Labeling yourself dysfunctional just makes things worse. Think of it this way: when you’re feeling confident, you’re more likely to make effective choices with things like consequences and limit setting, right? And when you’re feeling frustrated and down on yourself, you’re less likely to make effective choices in those areas. When you start to label yourself as dysfunctional, it becomes a vicious cycle. An eruption of behavioral issues erodes your self-confidence as a parent. You start to feel like you don’t know what you’re doing—again. And you think everyone can clearly see that you’re a messed up parent with a messed up family. You feel trapped in a family that’s flawed. Unable to think clearly and calmly, you deliver ineffective consequences or you back off on your rules. Your child’s behavior gets worse and you feel even more ashamed. Whether you’ve given yourself the label of “dysfunctional family,” or you’ve had that term applied to you, trying to live under that label can seriously undermine your efforts at being a more effective parent. When you’re in this cycle, some ineffective parenting styles become more tempting. Notably, you might find yourself becoming the perfectionist parent. You demand that your child adhere to very high standards in order to combat your shame over having what appears to be a family that just can’t get anything right. Or you might find yourself adopting a martyr parenting style in order to maintain an image of a well-functioning family. 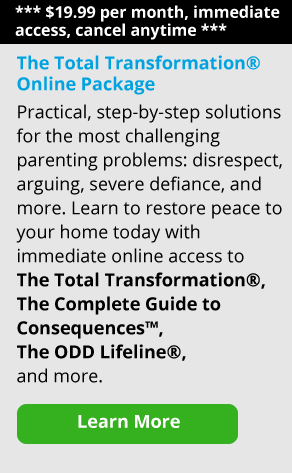 You overcompensate for your child’s problems. Instead, try a coaching and teaching parenting style wherein you meet your child where he is and coach him forward to better behavior, one step at a time. If you grew up in a family that had lots of problems, this can get even trickier. Many of us want to do whatever we can to give our kids a better family life than the one we had. We don’t want what our parents gave us: an abusive, absent, or unsupportive family tradition. Conversely, those of us with good memories of our own childhoods might feel we have to live up to that ideal, and not let our own parents down. Either way, there can be a lot of pressure to get this right. We worry about passing on dysfunction from our past. We worry about starting a new tradition of dysfunction in our children’s future. As real as these worries are, they don’t help us make effective, wise choices for our families. Anxiety about getting this right only contributes to that sense of dysfunction, and even adds an extra dose of panic to the mix. Ask This: What Does My Child Need From Me Right Now? When you’re faced with a behavioral episode, recognize your typical pattern, and ask yourself a new question: What does my child need from me right now? Focusing on your child’s need in that moment helps you to put aside the anxiety that a dysfunctional family label creates and gives you the opportunity to be more effective right now. The truth is, we are going to screw up our kids in some way. We’re going to do this because we’re human, and our kids are human. We struggle, they struggle. There is no fully functional family, with no conflict and no stress. Our kids will mess up, because that’s how kids learn. We’ll make effective choices in response, and we’ll make less than ideal choices, too. We all bring our pasts into our parenting, and we all falter sometimes. The best we can do is to give our kids tools to manage their lives effectively, helping them navigate the difficulties they encounter. And along the way, we face our own limits, responding to them, as best we can, with our own effective choices. That’s how functional families are born. Everyone can use some help creating healthy, functional family systems. No matter how dysfunctional you think your family might be, we’re always here to help.